Work on their own startup from day 1. Get their Bachelor degree in Entrepreneurship and Innovation. Live and study in Europe's hottest cities. Learn value creation traits from actual entrepreneurs. Global School for Entrepreneurship was founded to create entrepreneurship education we as founders wish we had ourselves. We believe that the only real way to learn how to become an entrepreneur is by being one. Do you want to know if you have what it takes? Just send us a WhatsApp message and find out. Let us send you a brochure with more information. Come with an intention to build your startup and leave with a running business and a bachelor degree. 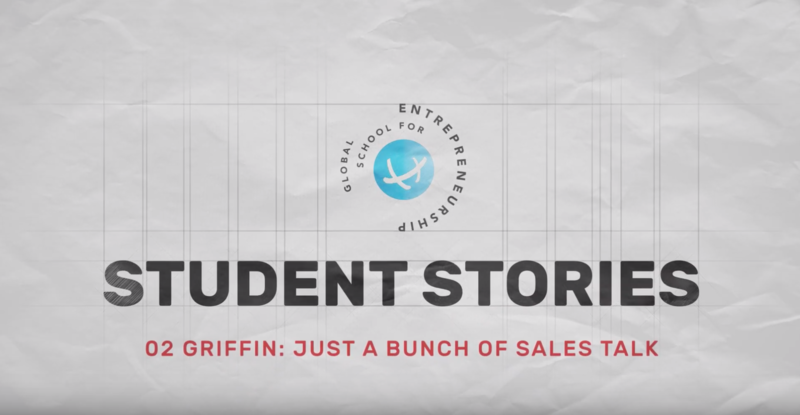 At Global School for Entrepreneurship 75% of the faculty are entrepreneurs themselves. We developed the curriculum after having worked with over 25.000 startups. We don’t own real estate, we have a partner that facilitates our classrooms, co-working spaces and housing all over Europe. And through our Get in the Ring ecosystem we can connect you to the startup scenes in over 100+ countries. High-end student housing solution available all-over Europe. At Global School for Entrepreneurship we consider it our challenge to educate and facilitate tomorrow’s entrepreneurs in the most inspirational and personal way possible. From the over 25.000 startups we worked with, we learned that little of the currently offered programs at the Universities is truly relevant to them. Most Universities have non-entrepreneurs teaching entrepreneurship. Hardly any time is made available to work on the actual business, half a year max. This made us rethink entrepreneurship education and solve the complex puzzle. We decided to do some things a little different yet still assure you could achieve your Bachelor degree in Entrepreneurship in time as a safety net if your venture doesn’t work out. Most important difference? Work in our incubator on your own startup from day 1. So in four years you could have a running business and a bachelor degree. Start building your business Apply now! If you have decided you want to invest in yourself and your future, and most importantly, your entrepreneurial dreams, make sure you take action! Again, we are always more than happy to help you with making the right decision. Check out our curriculum or schedule a call to further discuss our program. How we are disrupting higher education NOT A REAL SCHOOL? Anything you need to know as a parent or as a student; Thomas Meijer can help you! Just give him a call:+31 (0)6 57584721 Or send him a WhatsApp message. It’s all about you. Therefore we facilitate learning by doing, in small hands-on groups by experienced learning coaches who guide you personally all the way. Meet Christine Fitzgerald . The latest and most relevant literature from academia and the actual field. Books you will consult again and again even after you have finished your programme. We are 100% focused on developing 21st century skills. So no memory of theory testing only application of theory assessments. You don’t learn to play the piano by reading about it. We teach value creation through modules and give you practical mentoring by industry experts. You tell us your business idea and we will introduce you to a valuable mentor. What will truly help you accelerate? The access to our worldwide network. We will proactively connect you to our contacts for two purposes: 1) personal growth 2) startup development. Talk to our students and find out: we do deliver on this promise. We only allow access to likeminded students. We couldn’t have dreamed up the extent to which the students are helping each other out with design, programming, website development even sales techniques. Come feel the vibe. Leaving Global School with a running business should be expected but can not be guaranteed. As a safety net you will also receive an accredited Bachelor in Science degree which is recognized in Europe. This is what our students experience Sounds too good to be true?